The "Happy Java Net" is a large, hanging net that is attached to two brackets. A beautiful nibbling, climbing and rocking experience for your bird. 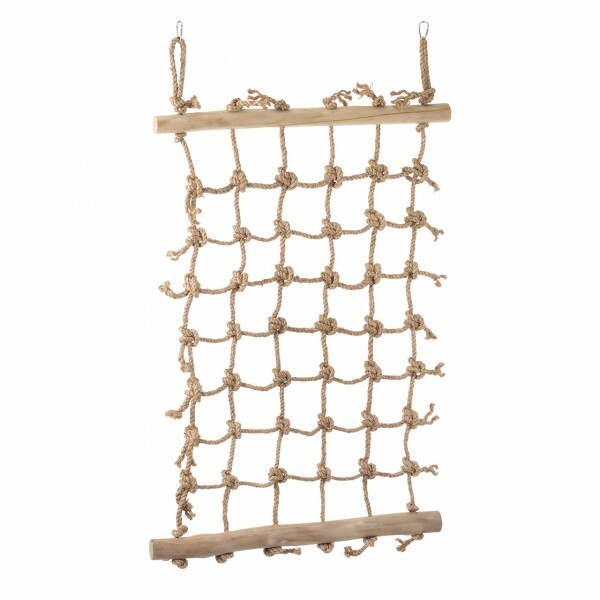 Ideal usable as climbing exercise or as hanging play net. Whether a swarm of small cockatiels, parrots or for large birds asmacaws or cockatoos This is a special toy for special friends. links "Big net of sisal for parrots with coffee wooden climbing poles"
customer reviews on "Big net of sisal for parrots with coffee wooden climbing poles"